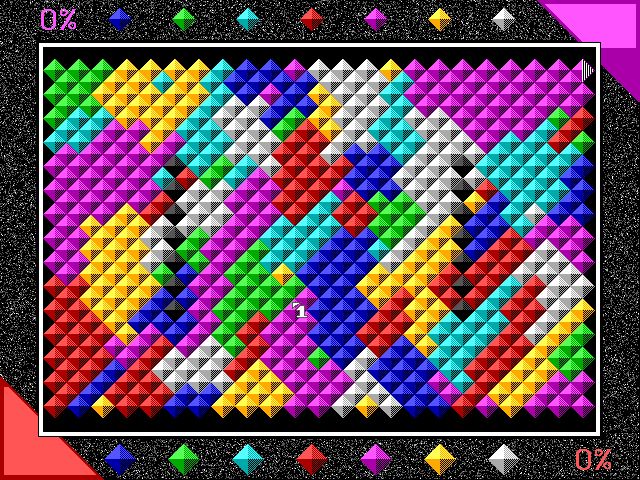 It might be a “battle of colours”, two “enemies” engaging in a “fight” to “conquer the territory” on the “battlefield”. 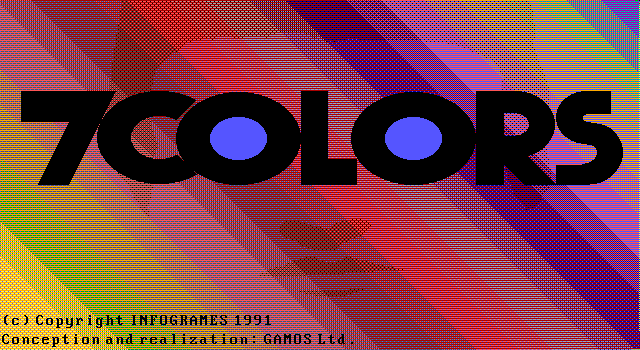 Or, despite Infogrames’ martial marketing efforts, 7 Colors might just be a puzzle game with brightly colored diamonds. 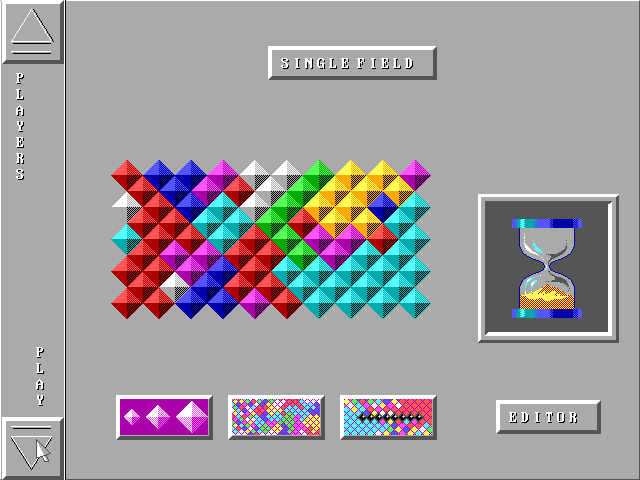 In the wake of Alexey Pajitnov’s block-busting Tetris, Infogrames licensed another Russian mathematician’s concept for a game of logics and dexterity: Two players start from opposite ends of a board, filled with rectangles of seven different colors, and take turns in picking one of these colors. 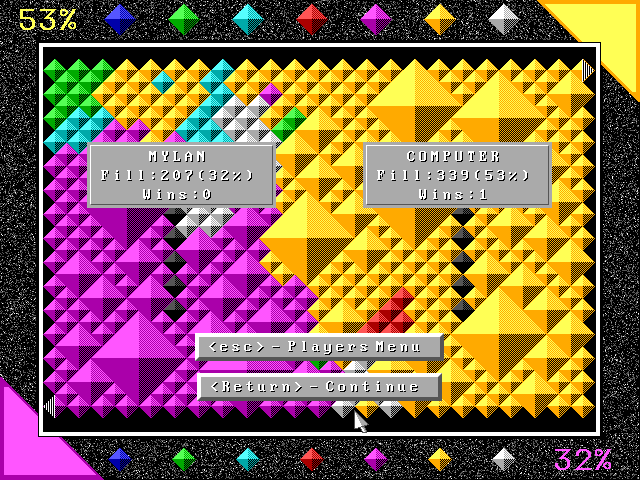 All diamonds of that color bordering on the player’s territory are annexed, expanding the borders. Whoever first controls more than half of the terrain wins. 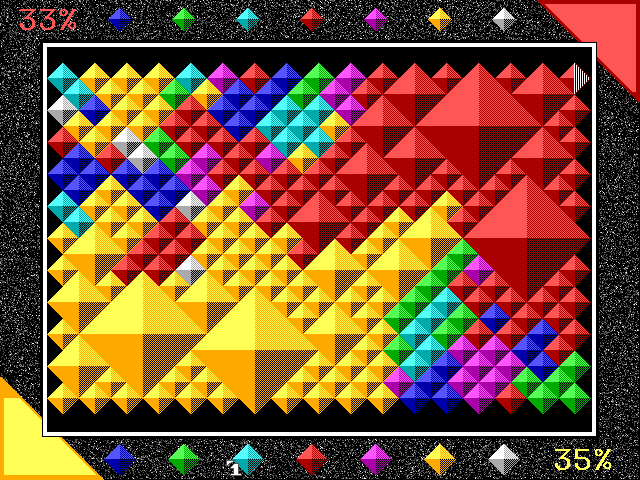 7 Colors can be played against the computer or a human opponent, even over a local network – a rare feature at the time. Ambitious players may design their own boards with the included editor.